To no surprise, AMC has cancelled Low Winter Sun after one season. The last episode aired in early October and drew just 630,000 viewers. 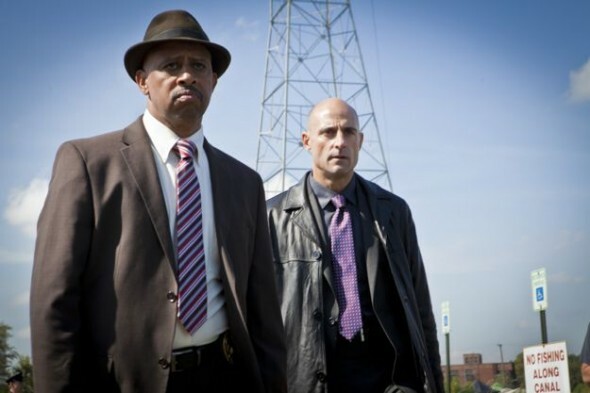 Starring Mark Strong and Lennie James, the crime drama performed relatively well at the start of the season, thanks in part to having the final episodes of Breaking Bad as a lead-in. It debuted to 2.51 million viewers and the second episode dropped to 1.47 million. The numbers kept dwindling downward as the season progressed. Once Breaking Bad left AMC, Low Winter Sun’s ratings really plummeted. What do you think? Did you like Low Winter Sun? Are you sorry that there won’t be a second season? I’m watching the last episode and searched to see where I could get season two. Checked out season one from a library. I have a behavioral science degree and am so sad this action drama was ended. Maybe people were needing something to help them feel breaking bad didn’t really end. Bitterly dissapointed low winter sun is not returning for another season. I thought it was an excellent programme. Thankfully it’s on On Demand this month. Enjoy! SOOOO disappointed this show will not return…fantastic series!!! Sincerely hope that AMC will reconsider its decision….I have highly recommended LWS to many friends and family members. Big mistake IMHO…. I doubt they will reconsider, because I’m sure some of the other actors have already moved on. If they had changed back their minds soon after it would have worked, but they have already let a lot of time pass. I think this show is fantastic! I truly hope AMC reconsiders canceling it. This was a good show why cancel, The numbers would have improved.